The vintage honey shop giveaway!! ~So excited to be doing our first ever SPONSORED giveaway!! This is just the start of many giveaways to come. I had always dreamed to be able to do something like this and the time has finally come. The giveaway will start November 16th, 2013 and the way you earn entries is by liking The vintage honey shops facebook page, following on twitter, of course liking breastfeeding mama talks facebook, and following us on twitter. When the contest ends it will randomly select not one, not two, but THREE winners!!! Yes ONE giveaway with THREE winners. And it could just as easily be you! I had a chance to check out their Etsy shop and they have an amazing selection. You should check their shop out and see what you could win because the winners get to pick out the necklace they want up to $25! They will cover shipping of the necklace of your choice ($25 value) and are open to domestic & international winners. All you have to do is email them with your selection and shipping info. Check out their shop on etsy and mark their store in your favorites! ~A little bit about what sets them apart from the others. They do not make or sell amber teething necklaces. They use natural wood beads manufactured here in the USA. Amber necklaces are mainly for babies to wear, but their necklaces are made for moms to wear. Majority of their customers wear their necklaces while they nurse. They get tons of messages back telling them that their baby stopped pinching & scratching them when nursing. they focused on nursing while holding onto the necklaces. They genuinely care about the product they are selling and want you to be satisfied. They must be confident about their products to be giving away three to one of you and even letting one of the girls that help admin the page review one! Check out their facebook page now! 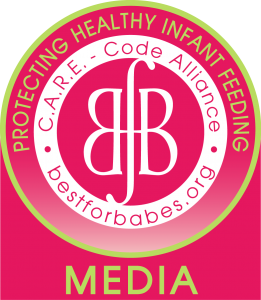 Please follow breastfeeding mama talks twitter page and tweet about this awesome giveaway to your friends! This entry was posted in Breastfeeding, Giveaways and tagged Vintage honey shop giveaway breastfeeding mama talk necklace amber nursing. Bookmark the permalink.